Black victims are getting a fair shake, even after death. 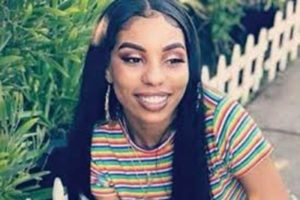 As is to be expected, pictures of Wilson were all over the news and social media when her death became a national story, most being the expected images like selfies and group pictures with friends. However, one station, KTVU, shared an image of her holding what appeared to be a gun (it was a gun-shaped phone case), which instantly drew criticism for portraying her in a negative light seeing as there were many other pictures to use. On the Monday after the photo was shown, July 23rd, anchor Frank Somerville posted a lengthy apology to his Facebook page. “I wanted to take a moment and apologize for a picture that KTVU showed on the air for several seconds today about the young woman who was killed on a Bart train last night. On our noon newscast, we briefly showed a picture taken from social media of her holding what appears to be a gun next to her head. Please know that everyone here at KTVU is mortified by what happened. Nia was a beautiful young girl. She had her whole life ahead of her. From me, and all of us at KTVU, I can’t say enough how sorry we are,” he wrote.